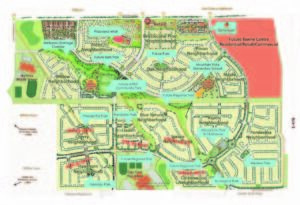 Copperleaf Makes Plans for Final Residential Neighborhoods, Parks and Trails. As Denver’s real estate sales continue with vigor, Copperleaf community continues to grow and expand to welcome a variety of improvements. These additions to Copperleaf bring enhanced value and beauty to the community for all residents and surrounding communities. First and foremost, Copperleaf is proud to announce that all remaining residential land within Copperleaf is under contract with various homebuilders. 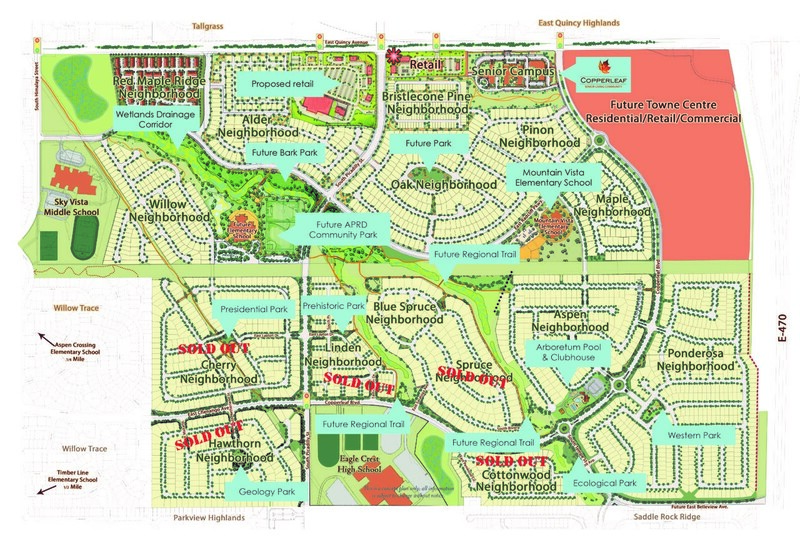 Copperleaf has sold 97 single-family detached home lots to D.R. Horton who will be building in the Pinon Neighborhood with home products similar to what they offered in the current Aspen Neighborhood. Copperleaf is also under contract with two additional builders to build out all remaining residential neighborhoods including Oak, Alder and Red Maple Ridge Neighborhoods. Both single-family homes and paired-homes are expected. What remains for the development of Copperleaf is final planning for all retail and commercial land parcels as well as final planning and development of various parks, trails and open space areas. Copperleaf developers are currently working on the planning and development of the much-anticipated Bark Park – an off-leash park for dogs that will feature a multitude of canine amenities. Planning of the Bark Park is expected to be completed in 2018 with construction beginning in 2019. Additionally, planning of the trail system continues as well as planning for other parks in the community including the yet-to-be-named park that will sit in the center of the Oak Neighborhood. This new park will be developed in conjunction with the homes in the Oak Neighborhood and will likely be Copperleaf’s largest neighborhood park. The Copperleaf Community Park continues to be planned by Arapahoe Parks and Recreation District. Maverik convenience store and gas station was the first retailer to open within Copperleaf in January 2018 with many more expected to open soon. Additional retailers include a Starbucks, which is currently under construction, as well as many more. The Copperleaf Senior Center (CSC) is also still in the planning stages of development. The CSC currently sits on approximately 15 acres at the corner of Copperleaf Boulevard and Quincy Avenue and is planning to build a facility that offers various care levels and senior options including an independent living facility, an assisted living facility, a nursing home and a memory care unit.